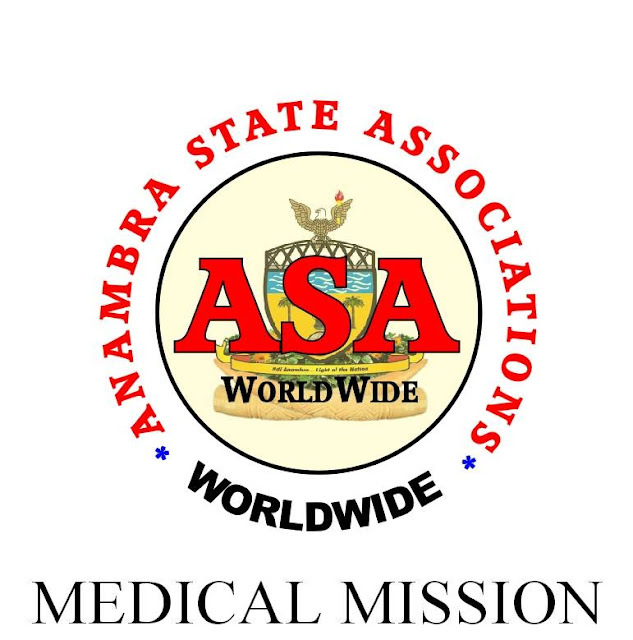 Anambra State Association Worldwide (ASA-World) is a non-profit and non-partisan organization of indigenes of Anmabra State of Nigeria living in the Diaspora. The organization is duly registered as 501C(3) category organization and has branches in over 25 countries around the world. ASA-World is committed to providing modest medical assistance to the citizens of the state in the areas, where medical services are not easily available or affordable. Through our annual Medical Missions, we take a team of medical doctors, pharmacists, optometrists and nurses to selected towns in Anambah State to consult and treat patients for upwards of one week. The equipment and drugs we take to the missions are provided through cash donations and donations in kind in form of wheel chairs, walkers, and hospital equipment. A recent review of the Medical Missions revealed that it does not fully capture the many health challenges our people face. We found that many rural dwellers are still dying of preventable diseases that could be safely managed if diagnosed early. High blood pressure and diabetes are among the commonest of the fatal diseases reported. Unfortunately out of ignorance the people erroneously still regards the diseases as witchcraft. As a result of this discovery, ASA-World is considering adding a preventive dimension to the Medical Mission. The three mission hospitals which we have chosen as partners in this mission have also informed us that they have serious challenges with diagnostic equipment such as blood pressure monitors, X-Ray machines, and MIR equipment and accessories. Faced with these challenges, ASA-World is respectfully soliciting support both in cash and kind to assist us in providing some of these medical services to the highly disadvantaged but fully deserving citizens of the state. Your support for this philanthropic agenda and commendable service will be highly appreciated. In solidarity with ASA-World’s global network: Canada, United Kingdom, Anambra Leaders in the USA, Germany, China, Russia, Japan, China, ASA South Africa, India, Dubai, Ireland, Iceland, Pakistan, Valencia, Spain, Ireland, Finland, France, Italy, Switzerland, Germany, Netherland ETC.